Aitken Spence Logistics, further exemplified its commitment towards continuous improvement with enhancements to its fleet of equipment. The new addition of equipment falls in line with the belief of delivering service par excellence for the company’s longstanding clientele. Amongst notable additions to the fleet are six new forklifts, twelve new prime movers and an empty container handler to advance its operations in the fields of Container Freight Station (CFS), Transportation and Inland Container Terminal (ICT). In keeping with the belief of maintaining uncompromising standards of quality, the purchases were made from Toyota, TATA and KONECRANES. KONECRANES is a globally renowned brand in the lifting equipment industry, lending its high quality products to a broad range of customers engaged in a multitude of industries across the world. The selection of equipment vendors is carried out by Aitken Spence Logistics with reliable quality and service in mind and has been a success factor for the company in the years of its operation. “We believe it is essential that we maintain the highest levels of quality and reliability in all our operations. This has always been something that we emphasise and take pride in. With the expansion of our client base, we have maintained a consistent level of quality that made us successful from the inception of our business and this is our greatest achievement. We have remained closely aligned with the best in our industry and our investments reflect this belief that the best in the industry must partner the best,” commented Mr. Janaka Gunawardena, Chief Operating Officer – Aitken Spence Logistics. The new additions to the fleet are part of the continuous expansion and upgrading of capacity that Aitken Spence Logistics have led in the recent past and the company aims to achieve improvements in service quality and efficiency through consistent enhancements to the fleet. As such, the company will also add on to its fleet a brand new 10 Ton Boom Truck in the near future aiming to strengthen its project cargo logistics capabilities. 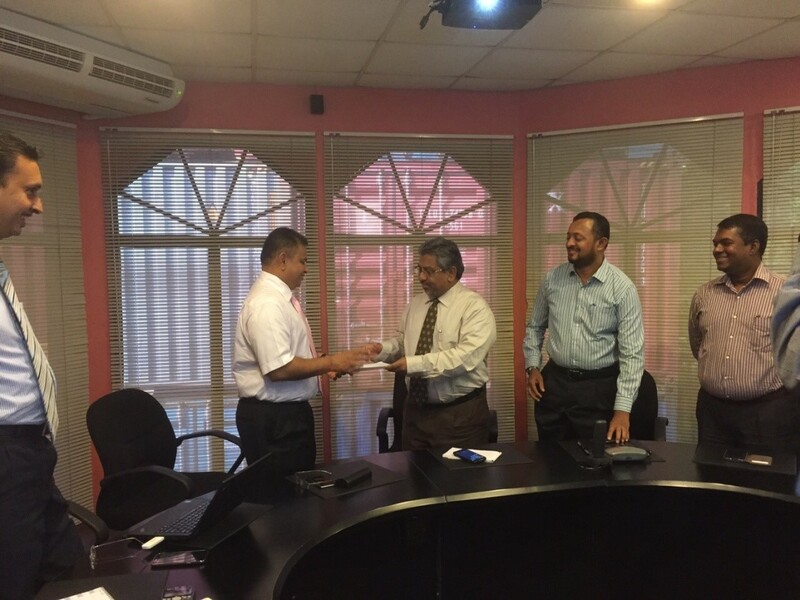 Aitken Spence Technologies together with Aitken Spence Logistics – Sri Lanka’s leading integrated logistics provider has successfully initiated the commencement of R12 Oracle E-Business Suite modules to the Company’s Logistics facility in Mabole, Wattala on the 11th of June 2015. The Oracle E-Business Suite modules include Warehouse Management, Service Contracts, Depot Repair, Enterprise Asset Management, Inventory, Purchasing and Receivables. The implementation of the R12 Oracle E-Business Suite enables Aitken Spence Logistics to adapt readily to their industry’s ever changing requirements, and enhance their customer satisfaction by providing tailor made solutions; while bringing greater efficiency through streamlined business processes. Project Steering committee members, Project Managers and Oracle Consultants stated the key objective of the project were highlighted with the Automating of Container Tracking Function (Depot), Container Repair Function, Functions of the Container Freight Station and Asset Management Function. The deployment of system has allowed integrated solution which enables the company to rectify any errors and cater to the changing needs of Aitken Spence Logistics, increasing the customer satisfaction and retention. 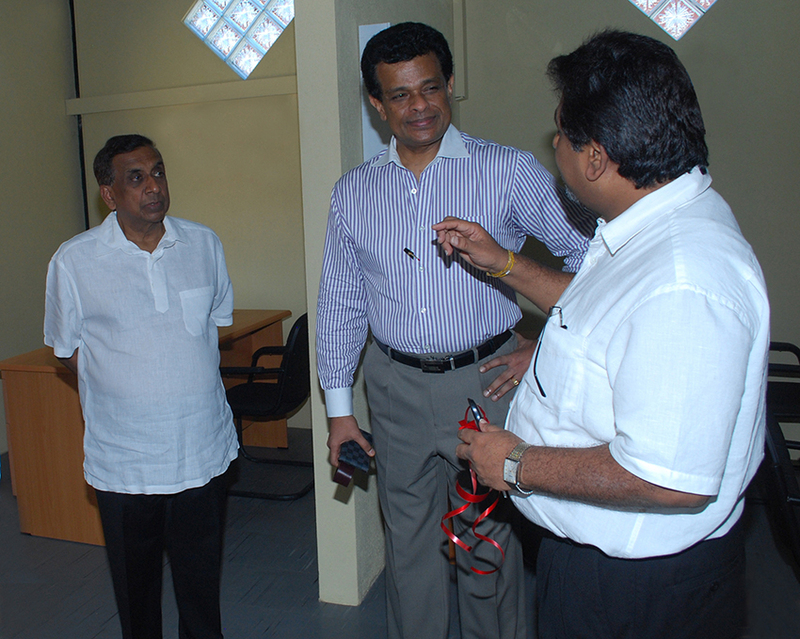 Project commencement meeting was held at Aitken Spence Logistics premises with the presence of its project steering committee members; Vipula Gunatilleka Chief Corporate Officer – Aitken Spence Group Ltd & Managing Director – Aitken Spence Technologies, Nilantha Wakwella Managing Director – Aitken Spence Logistics, Dhammika Dasa Chief Operating Officer – Aitken Spence Technologies, A.M.M Amir Vice-President – Aitken Spence Logistics, Fahad Cader General Manager Aitken Spence Technologies, Sharmilal Anthony Assistant Vice-President – Aitken Spence Logistics and Chinthaka Abeykoon Manager for IT – Aitken Spence Logistics were present. 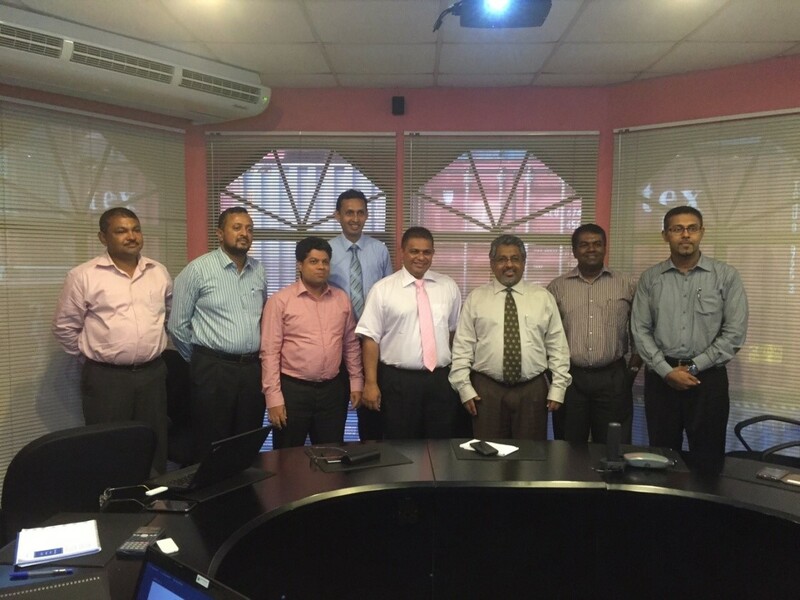 Ajith Ranatunge Audit Manager – Aitken Spence Logistics, Rifkhan Ahamed Senior Oracle Functional Consultant and Anas Marikkar Senior Oracle Functional Consultant were also present. Aitken Spence Technologies and Aitken Spence Logistics arms of Aitken Spence PLC – Sri Lanka’s leading and most respected corporate entities has operations in South Asia, the Middle East, Africa and South Pacific. It is an industry leader in hotels, travel, maritime services, logistics, power generation and printing, with a significant presence in plantations, financial services, insurance, information technology and apparel. The project is scheduled to go live in January 2016, bringing about efficiencies through optimum usage of Oracle E-Business Suite and further complement its integrated logistics solutions. Aitken Spence Logistics further strengthened its service portfolio by opening its new, state-of–the-art container repair and rigging facility at the Aitken Spence Inland Container Terminal located in Mabole, Wattala recently. 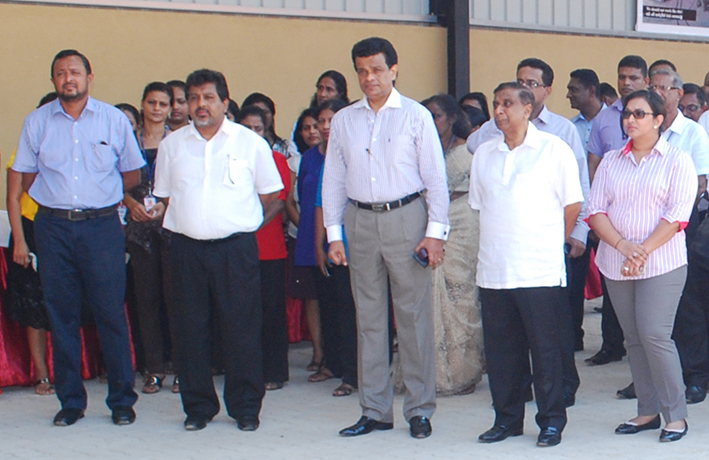 The new container repair and rigging facility was declared open by Mr. J M S Brito Deputy Chairman and Managing Director of Aitken Spence PLC together with Dr. Parakrama Dissanayake, Chairman of Aitken Spence Maritime and Director Aitken Spence PLC with the presence of Ms. Stasshani Jayawardena, Director of Aitken Spence PLC, Mr. Nilantha Wakwella, Managing Director of Aitken Spence Logistics and several Directors of Aitken Spence. Dedicated to catering to the new era of container conversions and repair services – the 24×7 operated, all-weather and under shed facility boasts of high quality standards by handling heavy repairs of containers, GOH conversions and container washing. The EDI and CEDEX computerized information systems in the facility provides instant reports on container history and repair details, repair statistics, estimates as well as projections for future bookings. “Having pioneered the concept of logistics in Sri Lanka, we will continue to provide demand chain management solutions” noted Dr. Dissanayake, at the ceremony. Aitken Spence is Sri Lanka’s largest logistics operator with a longstanding track record of superior performance and pioneering services covering the whole gamut of logistic operations from container handling, cargo, courier and supply chain management. Its maritime services arm represents leading shipping lines and manages container terminal operations in the Africa and the Pacific. With its future developments in mind, Aitken Spence Logistics intends to provide, high quality repairs of Reefer Containers, pre-trip inspections and monitoring. Aitken Spence Logistics is a subsidiary of Aitken Spence PLC which is among Sri Lanka’s leading and most respected corporate entities with operations in South Asia, the Middle East, Africa and the Pacific. Listed in the Colombo Stock Exchange since 1983, Aitken Spence has major interests in hotels, travel, maritime services, logistics and power generation. The group also has a significant presence in plantations, printing, financial services, insurance, information technology and garments.